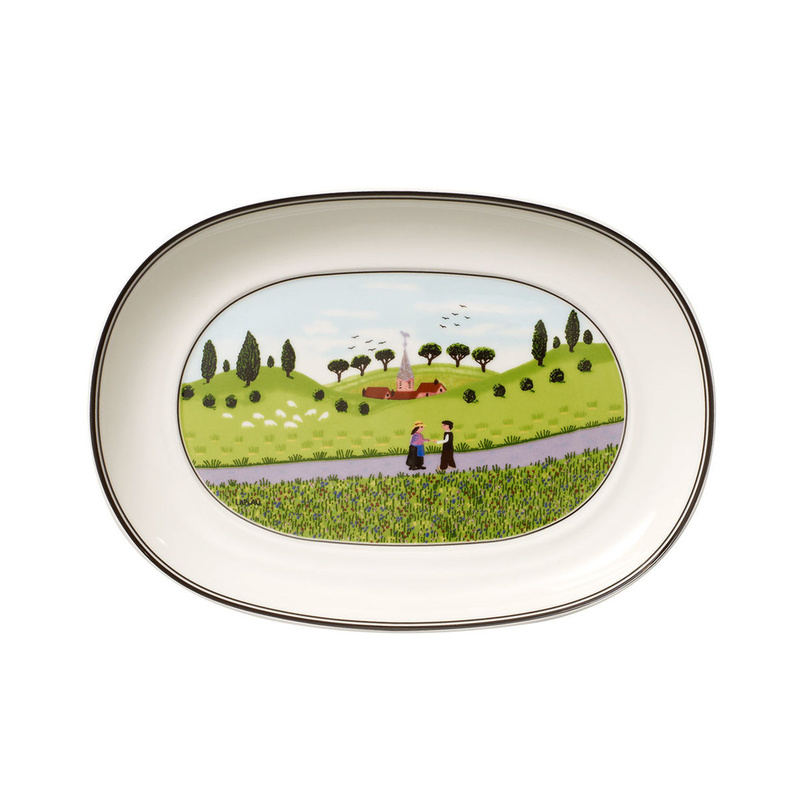 Serving dish Design Naif by Villeroy & Boch: elegant design and unbeatable quality. This platter is decorated with a beautiful pattern which depicts a rural landscape in the typical naif style. A touch of poetry and delicacy that gives the piece an elegant and refined look. The premium porcelain is the raw material used to manufacture this model which forms part of an entire service with the same characteristics. A set with a cottage-country style which is ideal to set up an elegant and very original table. The platter has a diameter of 27 cm and a weight of 0.710 kg. The decorative motif is the main focus of this item: a drawing in which everything is played on the alternation of soft colours that beautifully blend with each other in a unique and original harmony. Thanks to the innovative manufacturing used to produce this article, despite of its delicate appearance and lightness, the platter is extremely resistant. It is capable of bearing infinite cycles in the dishwasher without any damage, even at high temperatures. For a proper maintenance, it is recommended not to use detergents and abrasive pads that could ruin the magnificent surface of this platter. You can combine it with other items from the same collection, or match it with other styles to create a unique table, personal and original. This model has all the delicacy of the finest porcelain decorated with images that make you dream and bring you directly into the bucolic landscape represented on it. 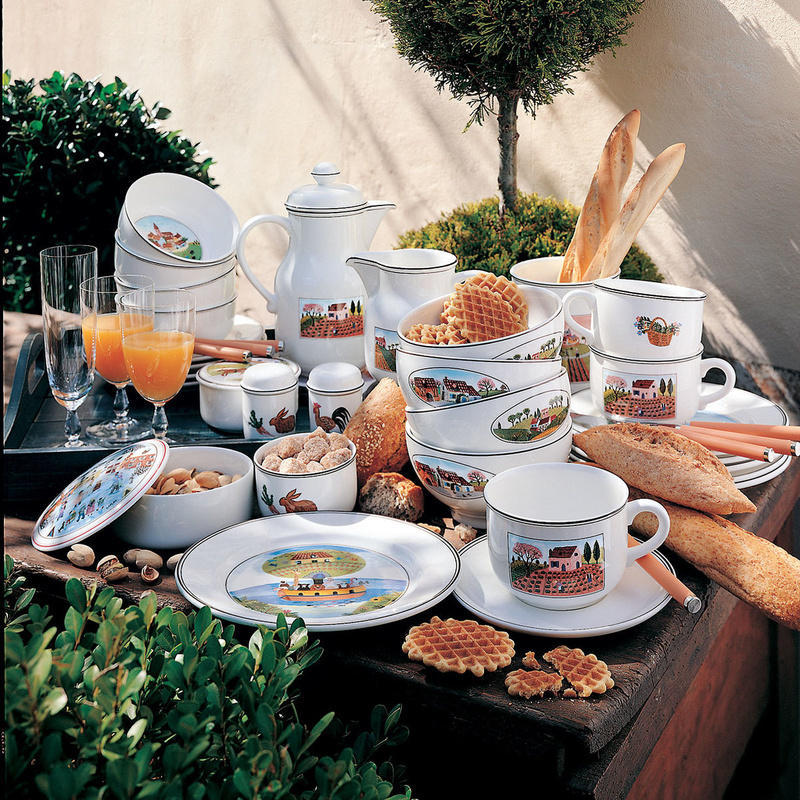 Villeroy & Boch: a name that is a guarantee in the production of porcelain items. Working since 1748, this company has been able to reinvent itself and always propose exceptional and high-quality collections. Whatever you need for the kitchen and the bathroom is for sure included in the catalogue of this brand, characterized by timeless fashion and style. Buying a product of this German brand means owning an article that will never go out of fashion, a timeless object that will add a touch of class and good taste to any location.